Claim submissions must include Itemized Bill or HCFA Form and a copy of Primary Carrier EOB. Visit the provider portal or register for quick access to member EOBs, eligibility, and other member solutions. ▾ How do I file a claim? 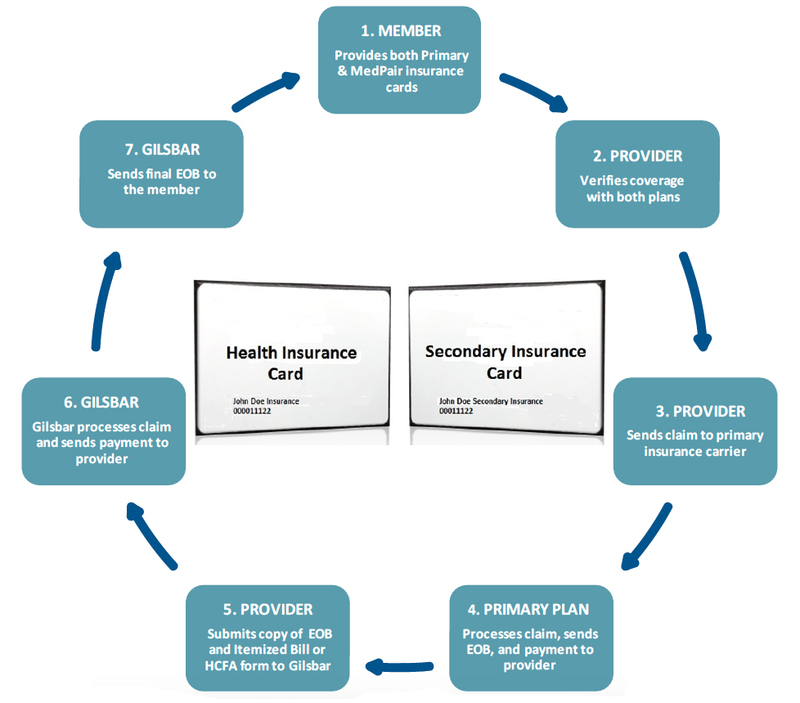 First, a claim for services performed must be filed with patient’s primary insurance provider. Once the healthcare provider receives the Primary Carrier EOB, they may then submit the claim via electronically filing, by fax, or by mail. For claim adjudication, filings must include a copy of the Itemized Bill or HCFA and the Primary Carrier EOB. Electronic filings are made to Gilsbar, LLC with Emdeon Payor ID# 07205 and mailed claims are made to Gilsbar, LLC P.O. Box 2947 Covington, LA 70434. With all available methods, healthcare providers must include a copy of the Primary Carrier EOB and Itemized Statement or HCFA. ▾ What is MedPair’s fee schedule and how do we join the network? MedPair does not have a set network and does not require a contract between the healthcare provider and MedPair. ▾ What is the Fee Schedule? There is no fee schedule. We pay the patient’s portion of the claim (i.e., copays, deductible, and coinsurance) directly to the providers on a dollar-for-dollar basis. The amount that the patient owes is determined by the underlying primary insurance carrier’s contract and can be found on the primary carrier’s EOB. ▾ Why should I want to file this claim? Most importantly, it will keep your patients happy and insure that they continue to return to your practice for care. From a claims perspective, it will reduce the amount of uncollected Accounts Receivable by shifting the claims to a highly rated insurance company verses an individual.